In the past asked my readers what they most wanted to learn from me. 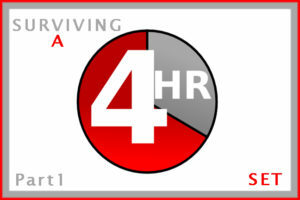 The #1 performance request was how to survive a 4-hour set with your voice still intact. So let’s get to it. If you’ve been a fan of my blog for any length of time, you know I talk about breath control a LOT. That’s because, if you can get the breathing right, everything else will fall into place. Consider breathing as you would the foundation of a house. A home with a good foundation will last for many decades. But, one with a faulty foundation could be in trouble just years after it’s built. A well cared for voice should last as long as you do. Let’s start by standing in front of a full length mirror and just breathe. What part of your body moves when you breathe? Is it your chest, your shoulders or your abdominals? If you said your abdominals, then good for you, you are breathing low as you should. If not, give this a try. 1-Still standing in front of the mirror, I want you to put your thumb in your navel and walk it down about 2 inches. This is where you need to put your breath. 2-Using your lower abdominals squeeze out all the dead air. 3-Open your mouth as you release your abdominal muscles. The air will simply fall back in. 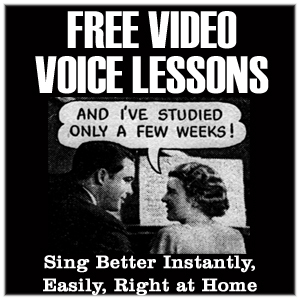 4-Repeat steps 2 and 3 to sing (or speak), take another breath when you want to stop a sound. If you are breathing up high you are most likely using the muscles of your throat to control your breathing. This puts a great deal of strain on your vocal cords and will cause your voice to go out much quicker than it will when you take the air low. I hope you’ll take a moment to leave a comment. I love these learning tips! This advice is spot on. Being a student of this program has given me priceless tools for stage and studio. You really need correct breathing while paying for expensive studio time. It’s every bit as long, actually longer than a four hour gig. Mostly at least two hard days using your vocals. Both cases you need strength and pitch control. Do yourself a big favor and visit Ms Renee’s program to step up your game. Hi Michael, I hope you and your lovely wife are doing well. It’s always a pleasure to keep you in tip-top shape for performing. Part II will go out next week. This advise has changed my vocal power…thank you! they get out on the stage. I simply cannot agree more. So many people miss this part, or downplay its importance. It’s more fun to just sing than it is to be concerned with technique. Thank you for your comments about singing from the lower body. It does indeed help us to sing better. I needed this. I’ve never had the money to work with a Vocal Coach and have noticed my range has decreased in the last year. The last time I sang during a 4 hour set I lost my voice and I really needed this. I look forward to reading part two.